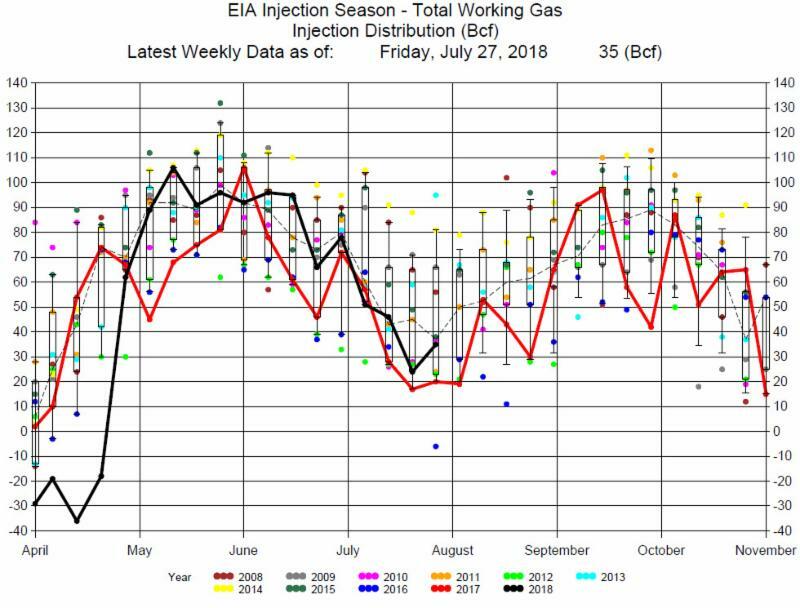 The EIA reported a 35 bcf Injection for the week ending July 27, 2018. 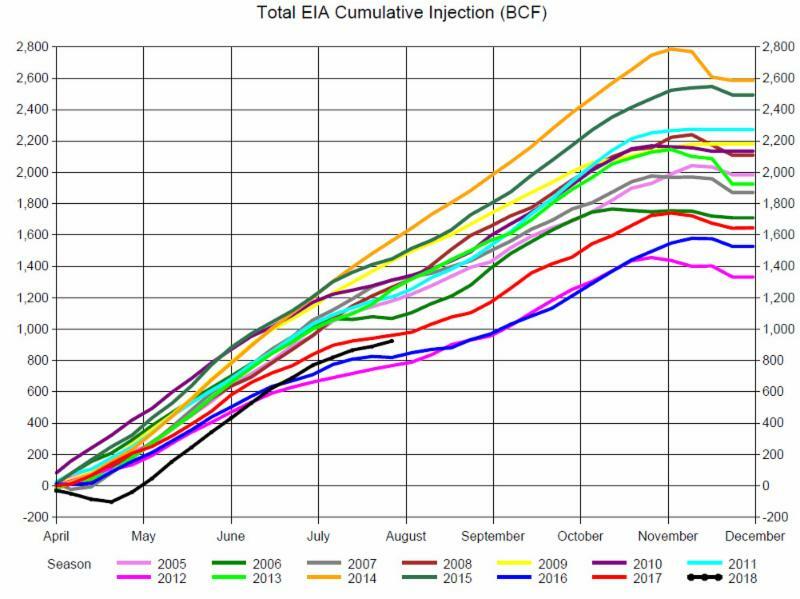 The injection was at the average for this week this week of the year, and below the average of expectations at a 42 bcf injection, with a range of a 24 bcf injection to a 46 bcf injection. 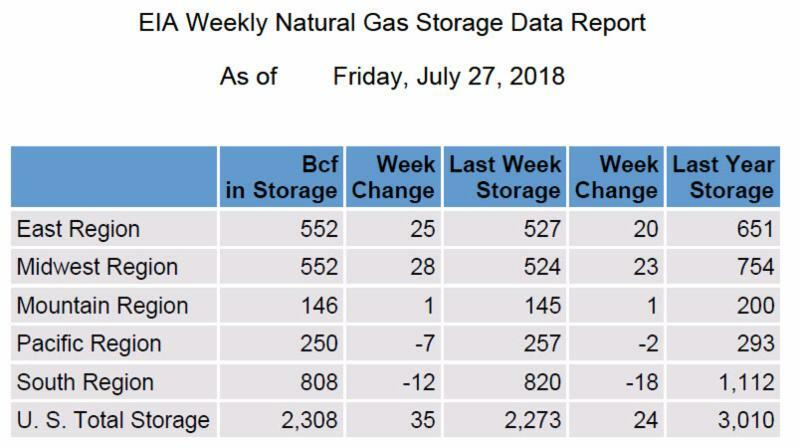 Continued hot weather has natural gas being diverted from storage to natural gas fueled power generation. 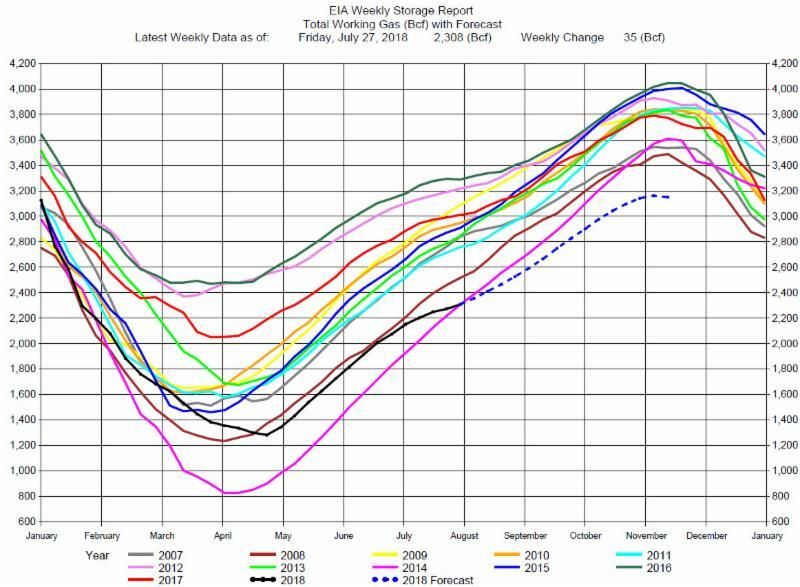 This especially the situation in the Pacific Region and South Region having storage withdrawals during the injection season (See the negative draws in the table below). The market prices remain choppy at the current lower level of prices. A return to the $2.85 – $2.88 level would indicate an uptrend in prices. As we have mentioned before, we would not recommend going short in this market, but to wait for an established upper trend in prices before trading from the long side of prices, as the fundamentals of supply and demand remain bullish.